MALAYSIA’s southern region states of Johor and Melaka have recorded a significant increase in land auctions in the first nine months of 2017 (9M17) compared with the same period last year. According to AuctionGuru.com.my’s 3Q17 market report, data collated by the online auction listing platform showed land auctions in the southern region (Johor and Melaka) for 9M17 rise to 186 cases worth RM463 million, an increase of 124.1% in volume and 110% in value from the 83 cases worth RM221 million recorded in 9M16. The spike could be due to the increase in land foreclosures in the region, especially commercial plots, AuctionGuru.com.my executive director Gary Chia tells EdgeProp.my. “Commercial land has been difficult to dispose of in the past one to two years due to concerns of oversupply of commercial projects in the southern region,” he says. Overall, the country has seen a 10.93% increase in real estate foreclosures in 9M17 to 21,258 from 19,163 last year, with the total value of these cases having grown by 31% to RM9.2 billion from RM7 billion. Of this year’s figures, 694 of them were land cases worth a total of RM1.268 billion, slightly higher than the 639 cases worth RM1.192 billion observed over the same period last year — an increase of 8.61% in volume and 6.38% in value. In Johor, there were 92 land auction cases worth RM413 million in 9M17 compared with 67 cases worth RM206 million over the same period last year, which is an increase of 37.31% in volume and 100.5% in value. Melaka recorded 94 land auction cases worth RM50 million up till September this year, an increase of almost fivefold in volume and 251% in value, as there were only 16 cases worth RM15.4 million over the same period in 2016. All the other regions, however, have seen a decrease in the number of land cases. The central region (Kuala Lumpur, Selangor and Negeri Sembilan) registered a total of 150 land cases worth RM491 million in 9M17, down 13.3% from the 173 cases worth RM591 million last year. The northern region (Perlis, Kedah, Penang and Perak) saw a decrease from 189 cases to 171 cases in 9M17 with total values down 36.12% to RM168 million. The east coast region (Kelantan, Terengganu and Pahang) as well as East Malaysia (Sabah, Sarawak and Labuan) also saw declines of 10.26% and 16.43% in the number of land auctions respectively. Nevertheless, Chia points out that the overall demand for vacant land in the country has been relatively resilient despite the slowdown in the property market. “Having sufficient landbank is crucial to achieve long-term growth for a property player,” he adds. Chia also notes that there are strategic parcels of vacant land available that have failed to attract buyers even after several rounds of auctions, reflecting the extreme cautiousness among market players as they aim to conserve liquidity to weather through the current tough conditions. “On the other hand, landowners who intend to dispose of their land at market value may find it difficult as the current financing environment may not be favourable to facilitate any purported sale. The landowner can only choose to withhold the sale or slash the offer price to attract buyers,” he says. Hence, this could be a good time to look for bargains on the auction market. Chia cites, as an example, two parcels of land in Johor that have yet to find buyers after four rounds of auctions. 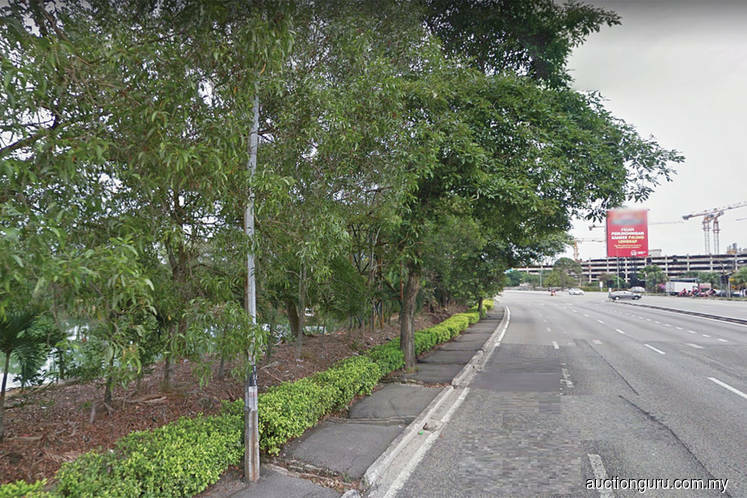 One parcel is a 4.31ha freehold commercial plot located along the south side of Jalan Pantai near Bandar Baru Permas Jaya, Johor Bahru. It has been put up for auction since September 2016 and the reserve price in the last round has been reduced by 27.1% from RM129.8 million to RM94.62 million. The other plot is a relatively small 0.9ha commercial plot located in the same area. Its reserve price at the last round of auction was about RM19.79 million, down 27.1% from its original reserve price of RM27.15 million. In the Klang Valley, a 4ha freehold agriculture plot located in Gombak, Selangor has been put up for auction three times since April 2016. The reserve price in the last round has been reduced by 19% from RM15 million to RM12.15 million. Hence, Chia says investors with sound financial standing should seek out opportunities in the current auction market. Looking ahead, he envisages the auction market to be sluggish, in line with the overall market environment that is expected to remain lacklustre in the next two to three years unless there is significant improvement in the economy. He foresees the number of real estate foreclosures to increase as well. The central region of KL, Selangor and Negeri Sembilan has continuously recorded the highest number of real estate auction cases in Malaysia. In 9M17, the region saw 11,297 auction cases worth RM5.79 billion in total. “The rising number of auction cases can be attributed to the buying frenzy during the past property market upcycle. Those parties that have engaged in this prior aggressive buying of property via bank financing may be caught in the current situation of property market restraint,” he says. As for land cases in particular, he says a further rise in land foreclosures could be an ominous sign pointing to fewer new property development launches in the future. “On the other hand, we could view this positively as it could serve to address the supply glut while improving the long-term competitiveness of market players towards promoting a healthier and more sustainable property market,” he offers. This story first appeared in EdgeProp.my pullout on Dec 22, 2017. Download EdgeProp.my pullout here for free.